1Password, one of the best password managers out there, is running a limited time offer as part of which you can get 6 months of service absolutely free if you sign up now. The offer is applicable on both 1Password for a single user account across multiple devices, as well as on the 1Password Families plan, which lets up to 5 members use 1Password to manage their login credentials for different websites, apps and services. 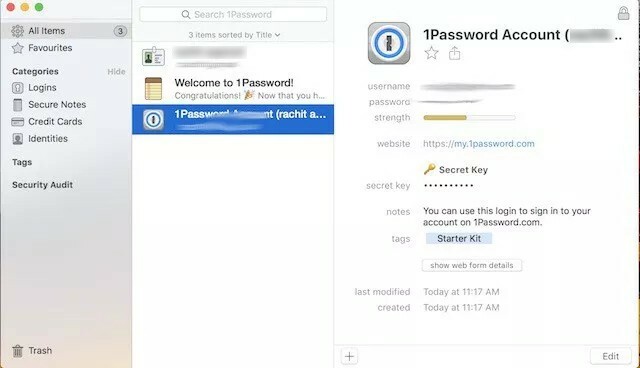 1Password is free to download and is available on Android, iOS, macOS and Windows, but the free service is normally free for a span of just 30 days once you sign-up, and after that, one has to pay a monthly fee. For a single user account, 1Password charges a fee of $2.99 per month if one goes for the annual billing plan, while for 1Password Families, there is a monthly charge of $4.99. When you sign up for 1Password, you also get features such as 1GB of document storage, 365-day item history to restore deleted passwords, two-factor authentication for an extra layer of security as well as 24/7 email support to resolve any issues. When it comes to the 1Password Families tier, you also get some extra perks such as the ability to share passwords, credit cards, secure notes, etc., manage what your family members can access as well as account recovery for members. 1Password made it to our list of the ‘10 Best Password Managers You Can Use in 2018‘ and was ranked 3rd, all thanks to an excellent UI, minimalist design as well as features such as support for touchID authentication on iPhones and Mac among others. 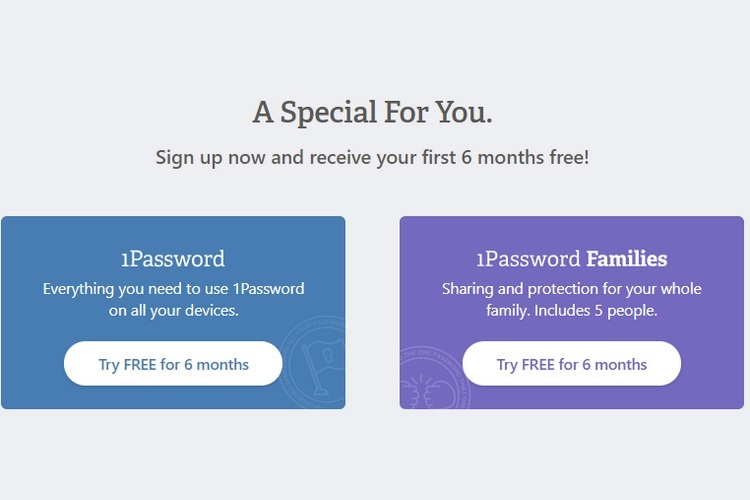 If you are interested in availing the limited time 1Password offer, you can sign-up here and get 6 months of free service on an individual as well as 1Password Families plan.